A few weeks ago, I met with Ed Damiano and we spent an afternoon talking about recent developments in the bionic pancreas program and what’s up next. As a person with diabetes, it’s weird to be reminded of many hands are involved in allowing access to technology development and release into the wild. And how much money is required. From a team and a laptop and tubes and wires to a single device. This is the kind of progress that excites me, because it’s happening NOW and the results have already changed lives. After close to thirty years with diabetes, I’ve seen progress that has made insulin delivery easier and glucose monitoring easier, but the bionic pancreas is a whole new and astounding shift towards life with diabetes. I believe that the bionic pancreas technology will make my diabetes less of an intrusion, ripping the dangling preposition “with diabetes” off of my life. 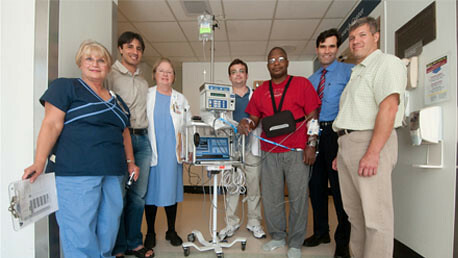 To learn more about the bionic pancreas program, please visit the website. And if you believe in this mission, please consider making a donation to the project. Go Bionic: Ed Damiano, Clara Barton Camp, and How the Bionic Pancreas “Really Works.” Tandem X2 with Dexcom G5 Update Update on … Stuff. Guest Post: A Do-It-Yourself Pancreas System. I realize I’m weird, but I get excited every time I read about this, which is a lot lately. Definitely worth the investment. Thank you! For this interview and for this exciting work! One infusion site or two ? Has he figured out a cheaper version of glucagon? or a more stable one? Current glucagon has to be changed out every 24 hours..what a PAIN!! This is so exciting! Thanks for sharing. I will gladly support this work. This is VERY exciting! Thanks for the update. We continue to be very hopeful and look forward to the day that diabetes is less of a burden thanks to the work of this amazing team! They are planning to have their own infusion set, which will be a dual set with one site on the body for both glucagon and insulin infusion. Can’t wait, super excited on behalf of my son!!!! I am curious, he mentions clinical trials last quarter of 2016, when do they estimate availability to consumers? How often will we switch out sites/cgm? I am pumped to show this to my son. It’s great to see that other organizations/companies besides Pancreum (www.pancreum.com) are also working on a dual-hormone (insulin & glucagon) bionic (a.k.a. 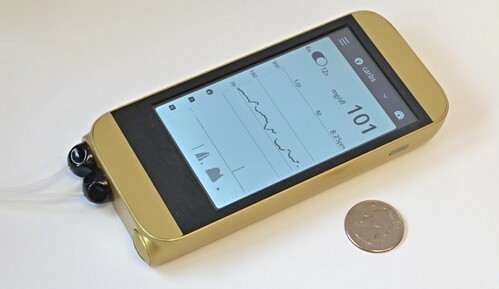 artificial) pancreas. I would like to participate in the phase 3 trials if possible. I`ve been insulin dependent since age 22 and am now 63. I see the benefit of glucose control and wish to make contributions so other Insulin dependent diabetics may have better control than I had. I`ve had a pump for 4 years and wish I had done it years ago. Please let me know where the phase 3 trials will take place. Thanks Terry Sommer 217 725-8190 (cell)I am a CRNA that works in Cardiac Surgery so please leave message. i LOVED READING THIS ARTICLE AND WATCHING THE VIDEO. AS A 77 YEAR OLD TYPE 1 DIABETIC WHO HAS HAD THE DISEASE FOR OVER 58 YEARS, I AM EXTREMELY INTERESTED IN THIS PRODUCT. I AM CURRENTLY ON AN INSULIN PUMP AND A CGS. I AM HOPEFUL THAT A PRODUCT LIKE YOURS WILL BE ON THE MARKET DURING MY LIFETIME. PLEASE KEEP UP THE GOOD WORK!